If you're earning a lower wage, living on unemployment or have been struggling financially, you may be expecting a large tax refund this year. For many dealing with money troubles, this is the one time each year they have a lump sum of cash in hand. If you're deep in debt, you may be considering dedicating some of your annual tax rebate to your bills. Or, if you owe money to family members, you may have promised some of this sum to them. But here's why you should stop and think before you start spending or doling it out. If you're having financial issues, spending on stuff you don't need is never a good idea. It may be tempting to buy a new TV, take a trip or splurge on other stuff you normally can't afford. But it's important to remember that if your bills aren't all paid up, you still can't afford it, even if your tax check feels like it's burning a hole in your pocket. Even if you file for bankruptcy, not all of your debts will be discharged. Student loans, most income taxes, some property taxes, alimony and child support obligations will survive either a Chapter 7 or 13 and you may need this money to deal with these remaining debts. Many experiencing money troubles turn to those closest to them for assistance. If you owe hundreds (or more) to a close friend or relative, you may be feeling guilty and want to pay them back as soon as possible. Under other circumstances, using your refund to repay your loved ones make sense, but if you're considering bankruptcy, this is unwise. If you pay an unsecured debt before a secured debt (car loan or mortgage) or prioritize a loan to Mom and Dad over a credit card, this is called a preferential payment and the bankruptcy court frowns on it. They could actually go back and ask for the money back from your parents and give it to creditors. If you're loaded down with credit card debt, you may be planning on taking a bite out of them with your tax check. This is unwise if you're planning on filing bankruptcy for two reasons. First, just like with paying back loans (or making loans) to friends or family, it will be treated as a preferential payment. Your Trustee may turn around and demand the money back from your card issuer so they can use it to pay secured or other higher priority debt. The second reason you should reconsider this is that if you do opt for the bankruptcy route, your credit card debts will be discharged as part of a Chapter 7 bankruptcy and may be greatly diminished or discharged in a Chapter 13. Medical bills are another debt that is typically able to be fully discharged in Chapter 7 and reduced or eliminated as part of a Chapter 13 debt reorganization plan. That's reason one not to invest your tax return in tackling this portion of your debt portfolio. The second is the same as #2 and #3 above. This can be viewed as a preferential repayment and stripped away from the doctor or hospital. And with medical bills, credit cards or other debts, if you negotiate them down to a lower payment to settle with your tax money, you'll end up owing taxes on the unpaid amount which you won't on an amount discharged in Chapter 7 or 13. This one is negotiable, but if you can't pay your rent or house payment, utilities, car insurance and other necessities on your wages or with your unemployment, you're in deep trouble. 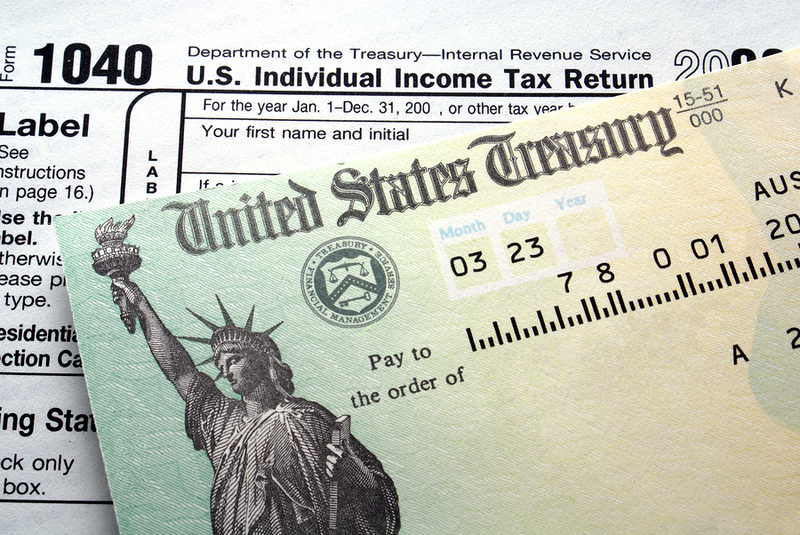 Needing to use your refund just to keep treading water is a sure sign that your finances are in jeopardy. Instead, consider filing bankruptcy to shed the debt you can't manage so you can get a financial fresh start unencumbered by much of your current obligations. In bankruptcy, North Carolina has specific exemptions that allow you to protect assets from your creditors. If your tax refund exceeds the amount you can exempt, you can prepay child support or alimony or apply it toward your student loans. To find out more about your options before you spend your refund, contact the law offices of John T Orcutt for a free consultation on your debt circumstances.